Current consumption: 0,7Ah per month (1mA) @12V and 0,6Ah per month (0,8mA) @ 24V. 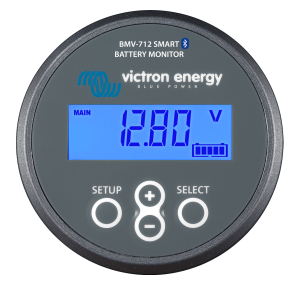 Especially Li-ion batteries have virtually no capacity left when discharged until low voltage shutdown. After shutdown due to low cell voltage, the capacity reserve of a Li-ion battery is approximately 1Ah per 100Ah battery capacity. The battery will be damaged if the remaining capacity reserve is drawn from the battery. A residual current of 10mA for example may damage a 200Ah battery if the system is left in discharged state during more than 8 days.